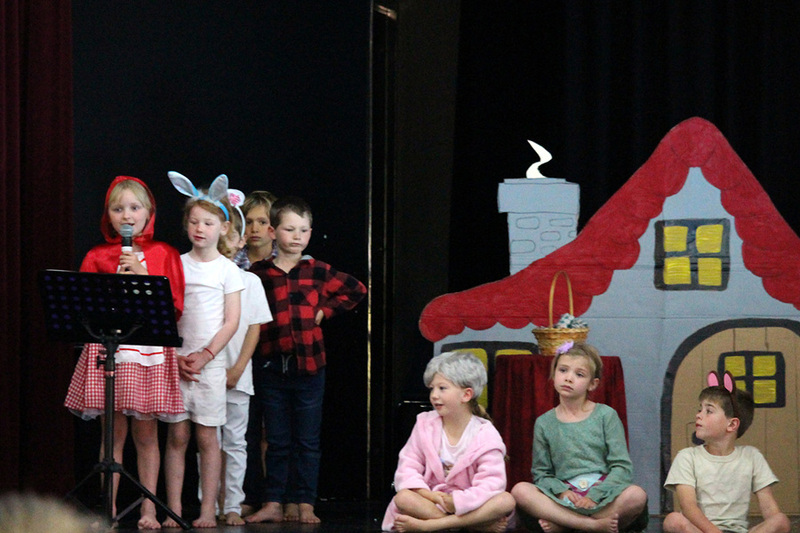 Mrs Thomas’ Room 5 class performed a delightful and entertaining rendition of their favourite narrative, Little Red Riding Hood, for the Assembly on October 19. 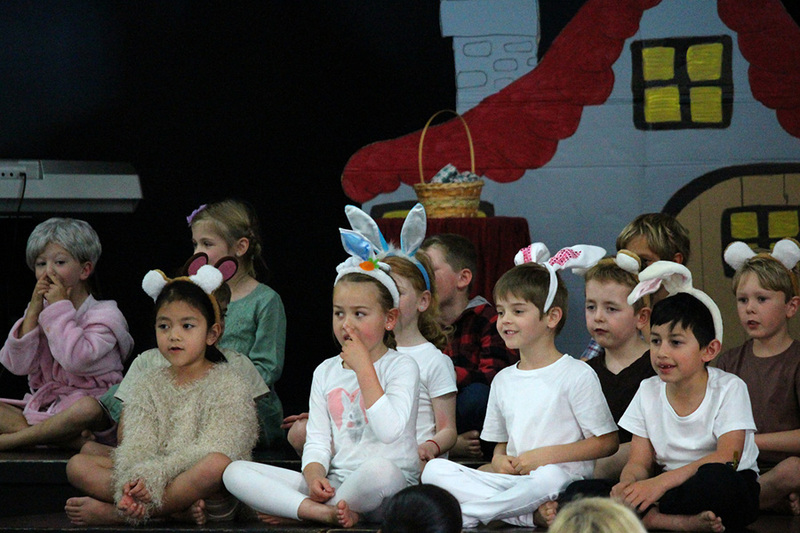 Complete with a ring of colourful fairies, squirrels, rabbits and a big, bad wolf ‘gang’, the Year 1 students confidently sang and danced their way through a charming version of this well-known classic fairytale. 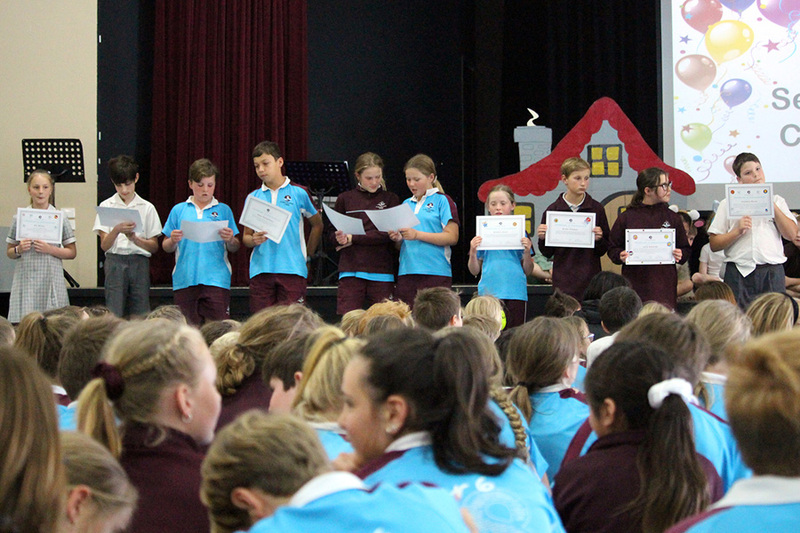 The class began with a song called "I Like Red". 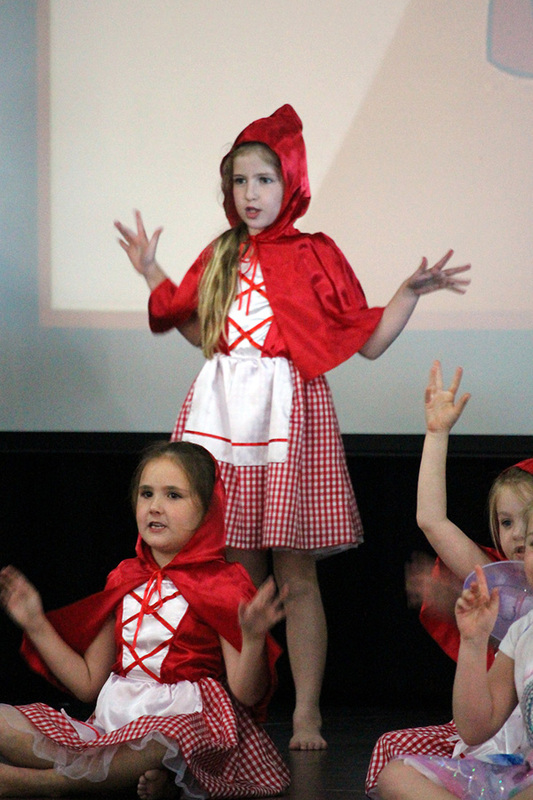 Little Red Riding Hood was enjoying the sunshine so much, that she didn’t see the Big Bad Wolf Gang hiding in the trees. 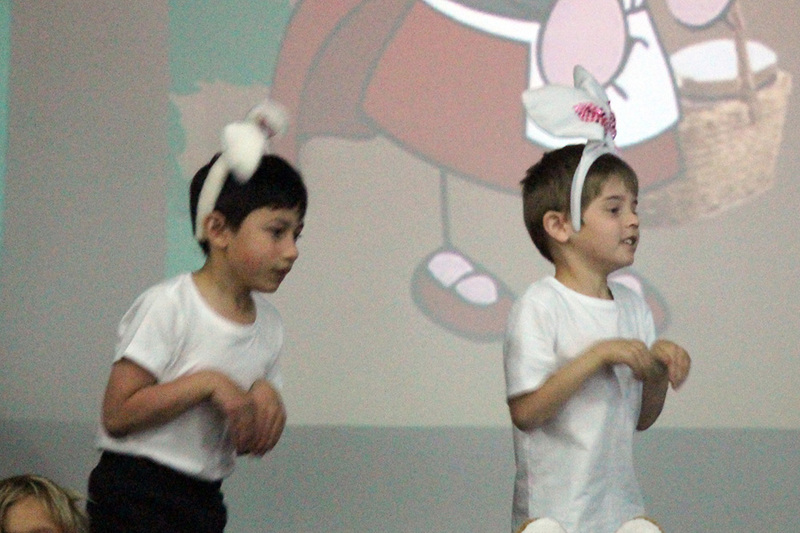 The Big Bad Wolf Gang led the class in the song “Wolfie Blues”. 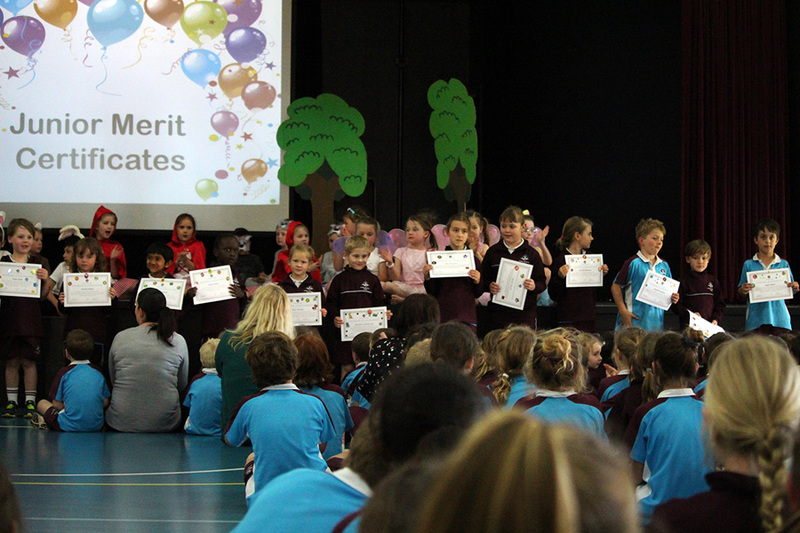 The Big Bad Wolf Gang tried hard to convince us that they were not bad, just hungry, but we were not fooled for a minute! 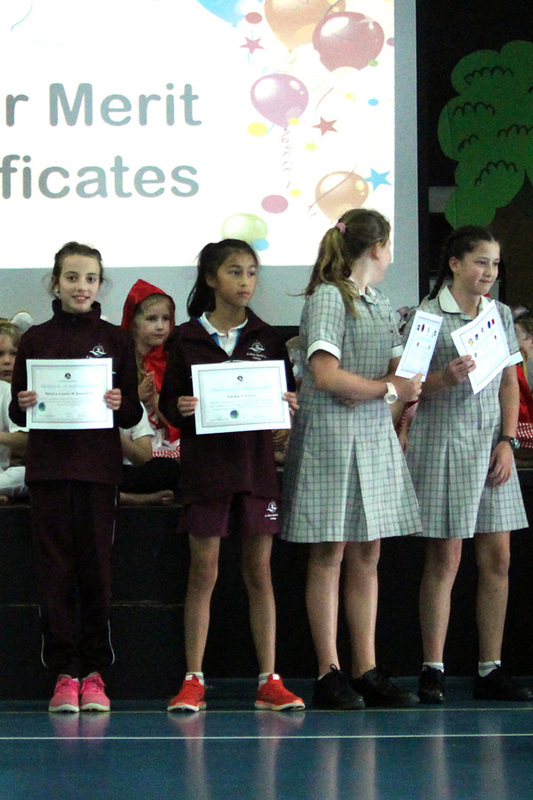 Little Red Riding Hood and her mother decided to pack a basket of cakes for Grandma. 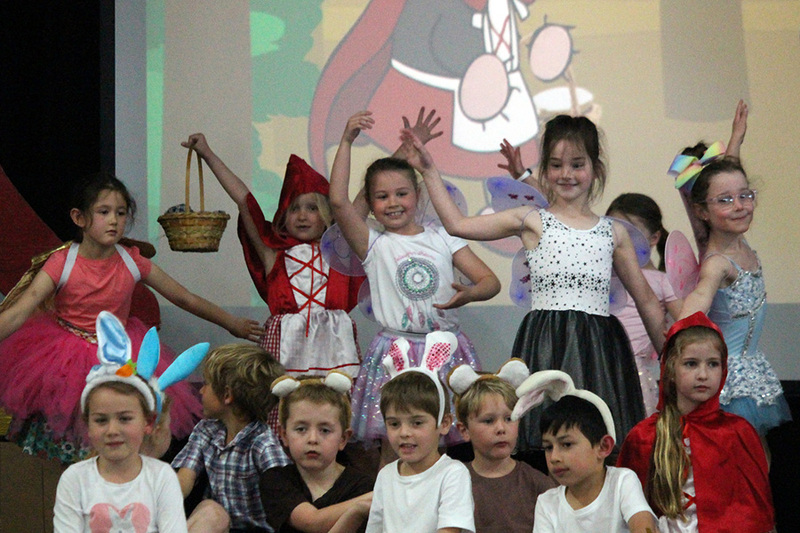 The class sang the song “Stay on the Path” to remind Little Red Riding Hood to be safe, while the squirrels, rabbits and fairies danced along on stage with Little Red Riding Hood. 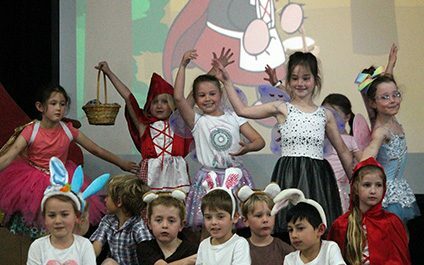 Little Red Riding Hood came across the Wolf Boss in the woods, who tried to tell her that he was a good wolf, but she was not convinced, so said goodbye to him. 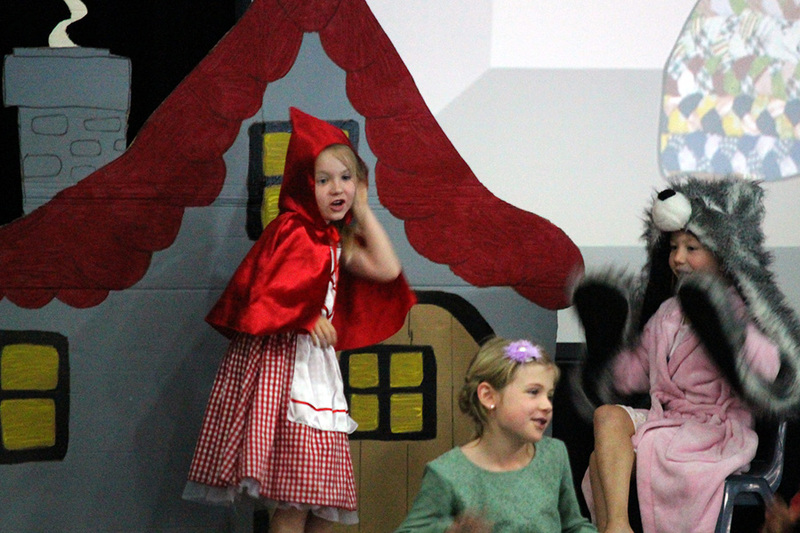 Soon enough Little Red Riding Hood arrived at Grandma’s house, but Grandma looked more like a wolf than a Grandma! 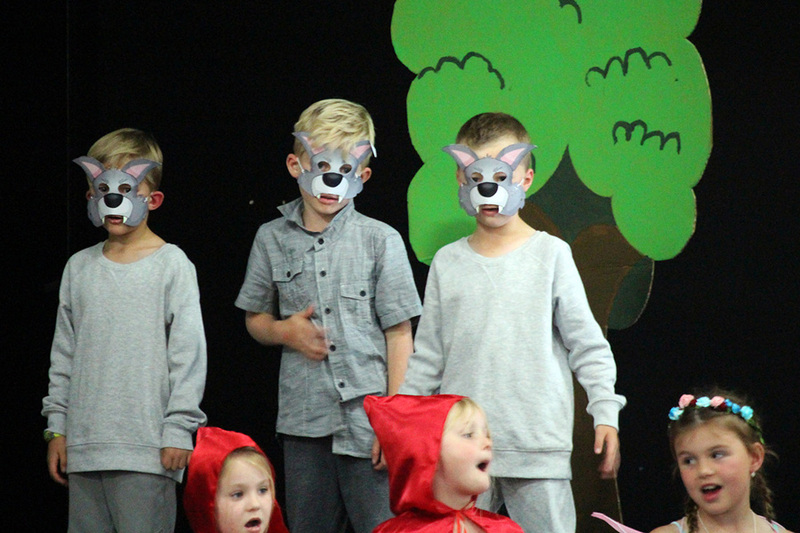 The class sang “What Big Eyes You’ve Got”, to help her know that she was not really visiting her Grandmother, but a wolf, before two wood cutters appeared and scared the whole Big Bad Wolf Gang away, finding Grandma locked in a cupboard. 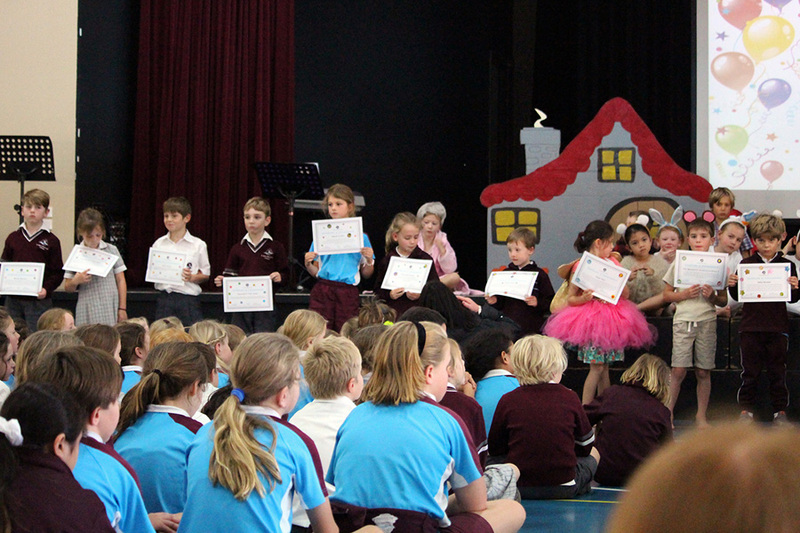 The assembly ended with a lovely picnic, and the Big Bad Wolf Gang were never seen again.